My first commission. Well, not the paid kind, but close enough. An artist and a good friend asked me to write a scene to serve as the narrative foundation for a painting. 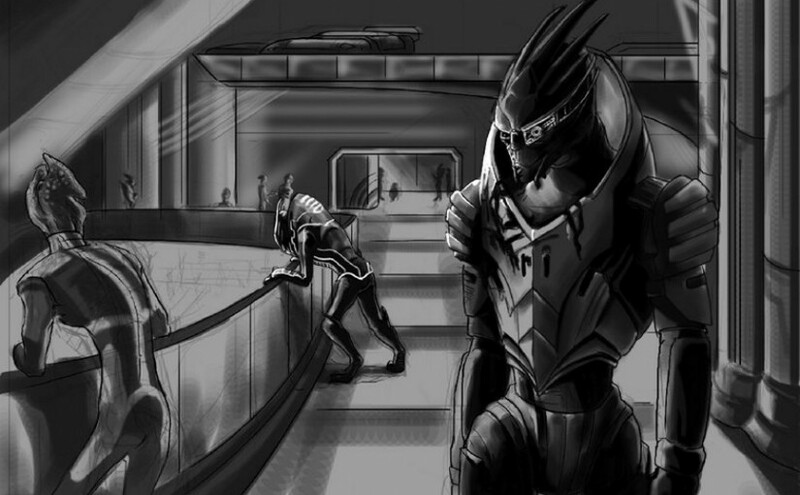 The topic was: Garrus and his thoughts just after sparing Sidonis’ life. The story is titled Forgiven.